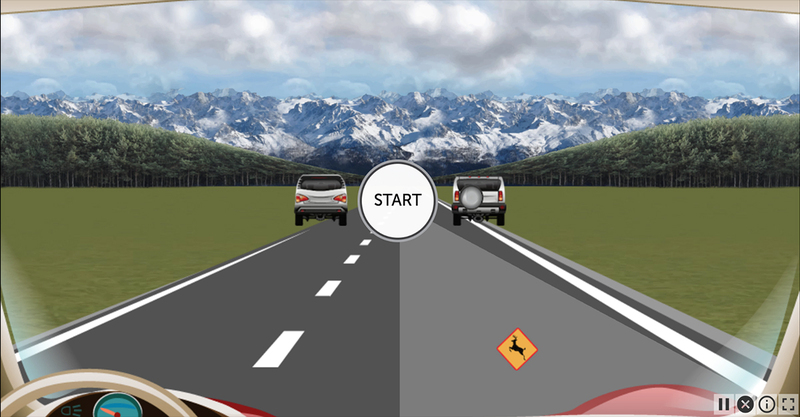 Visual Edge is the Drivesharp version of the speed training cognitive intervention used in the ACTIVE study. Imagine you’re driving down the street. Suddenly a skateboarder comes out from the side and crosses right in front of you. Can you stop in time? It depends, in part, on your visual speed of processing. How quickly and accurately can you see details—including in your peripheral vision–when looking straight ahead? The size of this area is called your “useful field of view.” Slower processing means it takes longer for your brain to notice what’s in the periphery, so you have a smaller useful field of view. Faster processing means you can see more and see it more quickly, giving you a larger useful field of view. That means your processing speed might make the difference between hitting the skateboarder and stopping before you do. Visual Edge uses a uniquely proven technology to speed up processing and expand useful field of view. This technology has been used in numerous studies—including the landmark ACTIVE study—where it has usually been referred to as “speed training.” Studies show many benefits to training with this technology, including faster visual processing, an expanded useful field of view, safer driving, and much more. The speed training technology in Visual Edge encourages the brain to increase its processing speed, extracting visual information more quickly. It also gets you to work at the edges of your useful field of view, so that it gradually expands outwards. The task changes (and gets harder!) 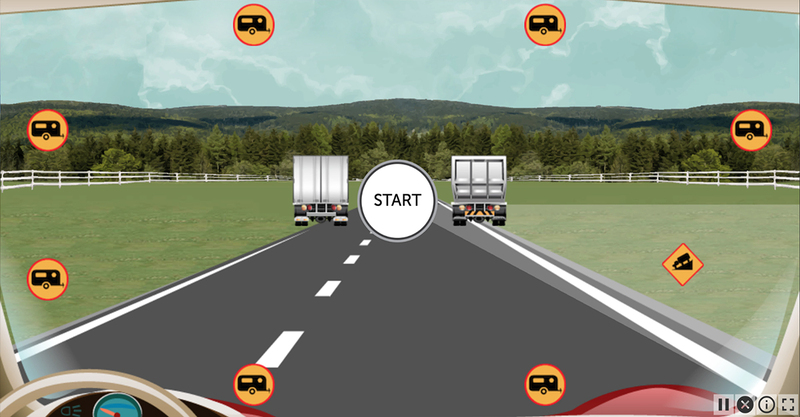 in several ways:It does so by focusing your attention on a task in the middle of the screen: you have to choose which of two vehicles you saw after one appears briefly in the middle of the screen. But at the same time, you have to notice where a road sign appears in the periphery of the screen. At first, the road sign is alone in the periphery, but over time, distractors (wrong answers) appear too. The road sign moves from closer to the center to farther out. The central vehicles get more similar, making it more difficult to choose the right one. The backgrounds get more complicated, making it harder to spot subtle differences in the vehicles and road signs. As you move through the exercise, these features challenge your brain to increase its processing speed and the size and reliability of your useful field of view. By increasing visual processing speed, Visual Edge brings significant benefits to everyday life. As studies in the Journal of the American Medical Association and others have shown, the speed training technology improves cognitive function, enhances driving safety, makes it easier to keep up with the busy demands of a modern life, reduces the chance of depression, and even helps people retain independence. Your score is in milliseconds. 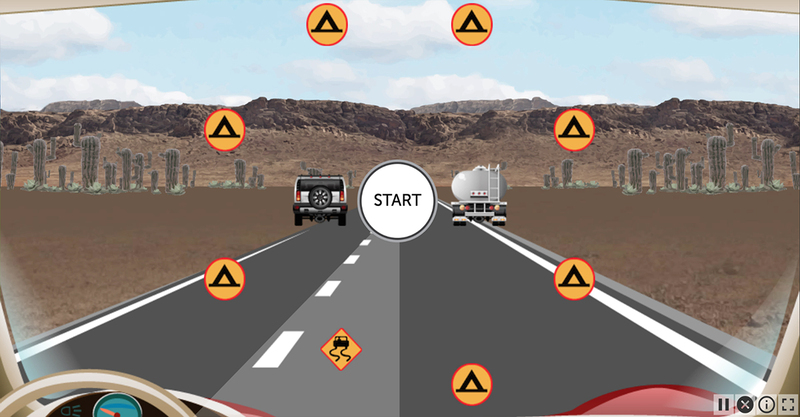 As you improve, the cars and road signs flash for fewer milliseconds, giving you a lower (better) score.